Statins have been so successful that would-be innovators can’t resist trying to make them more effective. Several pills are on the market that combine a statin drug with another non-statin compound with the idea that a one-two punch will really affect cardiovascular health. There are medical and commercial reasons for doing this. With the expiration of patents the profit margins for statins has declined. The combination therapies can be patented, or otherwise protected under intellectual property laws, and thus generate economic profits for the makers. Unfortunately, some of these combinations produced no better results that the statin alone did. Mixtures of statins with niacin and statins with fibrates did not perform as hoped. While they were generally safe, in light of the added danger of side effects from the extra medicine, the drug companies and FDA decided to put them off the market. The FDA formally withdrew approval of combinations of (1) statins and niacin and (2) statins and fibrates in 2016. Simcor is a combination of simvastatin and niacin. The name Simcor is a trademark of AbbVie, a spinof of Abbott Laboratories. Niacin is also Vitamin B3. This formulation is intended to be “extended-release”. The medicine enters the bloodstream over several hours. This is to avoid a flush from the niacin, although sometimes patients still experience a flush. Advicor combines niacin and lovastatin. It is therefore like Simcor, and also marketed by AbbVie. AbbVie also sells Niaspan which is not a combination therapy, but is a controlled-release niacin pill. Caduet is Pfizer’s entry to the combination therapy market. 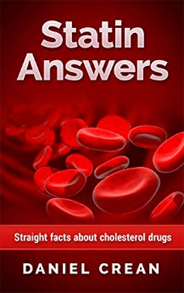 A combination of atorvastatin (which Pfizer sells under the name Lipitor) and amlodipine (Norvasc), this product contains both a statin and a calcium channel blocker high pressure drug. As high cholesterol and hypertension are often comorbid (happen in the same person), the pill presents an easy go-to for the doctor, and perhaps increases compliance by patients (fewer pills to take)..
An early study (2005) found Vytorin was more effective than atorvastatin at both reducing LDL levels and increasing HDL levels. The drug company Merck makes Vytorin. Merck was the pioneer of simvastatin and makes Zetia. In 2005, soon after approval of Vytorin, Merck embarked on a large (18,000 patients) long-term study called IMPROVE-IT to see if there are safety concerns and/or efficacy improvements or detriments from this combination. The study passed a milestone in 2013 that allowed it to continue; this was a review by external experts who were allowed to view confidential information and it is considered good news. Upon completion in late 2014, it was announced that the study found "modest" benefit from the combination in patients with post–acute-coronary syndrome. A 2008 study showed that the Vytorin was no better than simvastatin alone in preventing the build-up of plaque on blood vessels. Zetia lowers serum LDL but does not increase HDL or reduce inflammation the way statins do. The study raises the question of what kind of cholesterol control is useful. Vytorin does reduce LDL levels, but the question of whether it reduces mortality risk better (for people with no history of cardiovascular problems) than single-mode treatment is not clear.